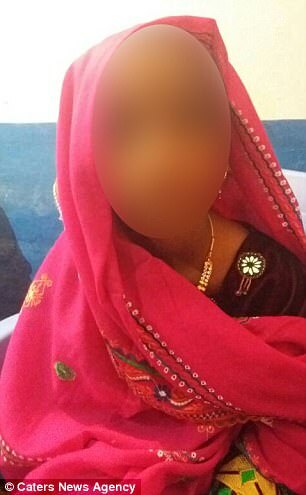 Police have rescued a 10-year-old child bride who was sold to a 50-year-old man by her mother to pay off a £3,400 loan. Jeetmal Mehar offered £5,400 to Pathani Mangrio’s parents to marry her. Pakistani Officers raided the marriage broker’s house just before the contract was signed and arrested 11 people complicit in the deal but the groom escaped. Gulzar Mari, a policeman investigating the case, said: ‘On December 19, around 11am we received information that a minor girl was being married to a 50-year-old man. The bride’s mother Masmat Nabiat said that she had agreed to marry her daughter off as the family had to pay a loan of around £3,400. Qazi Haji Solangi, who performed the marriage said: ‘I was approached by Muhammad Mehar for reciting Nikah. I didn’t know the girl is only 10 years old as I didn’t ask for age of bride and groom. 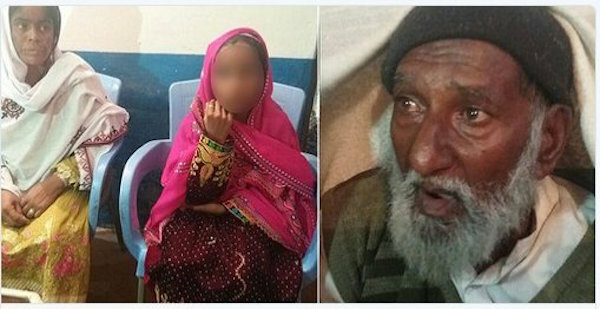 Police in Sindh province have registered a case under Sindh Child Marriages Restraint Act and produced all the arrested people before a court on Wednesday. The court has ordered the bride to be sent with her maternal grandfather and the others to jail until investigation is completed.